Check out local landscapers' favorite color combos. Lil' Bang Daybreak Coreopsis. David Sherwood, Sherwood's Forest. Dahlia bicolor rose. Andria Graeler, Chesterfield Valley Nursery. Malva sylbestris 'Zebrina'. Sarah Riley, Bowood Farms. Lil Kim. Claire Weiss, Frisella Nursery. Caladiums. Richard Poytner, Poynter Landscape & Architecture. Lantana. Katy Molaskey, Green Guys. 'Sweet Summer Love Clematis'. Ann Lapides, Sugar Creek Gardens. 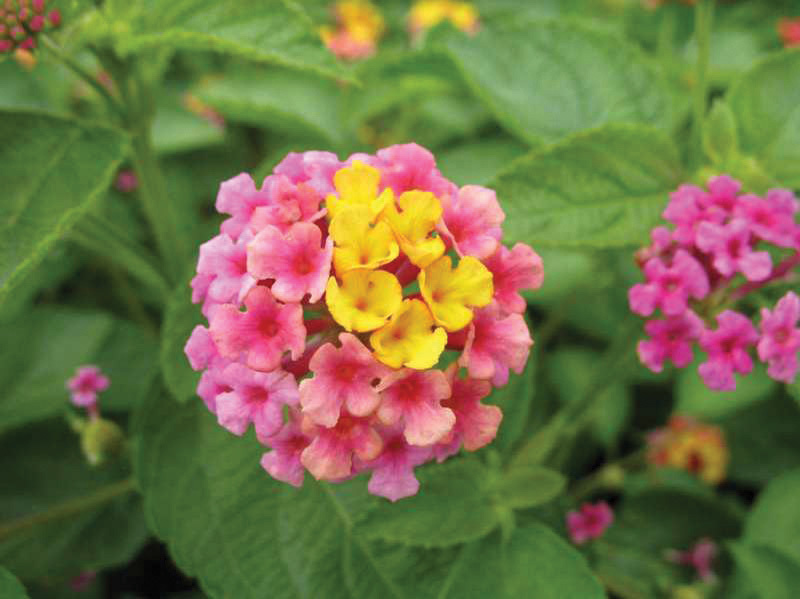 Double the fun in your landscape by adding bicolor flowers. Using a bloom with multiple hues creates a color palette for your planting area and adds interest. Check out local landscapers' favorite color combos. 1. 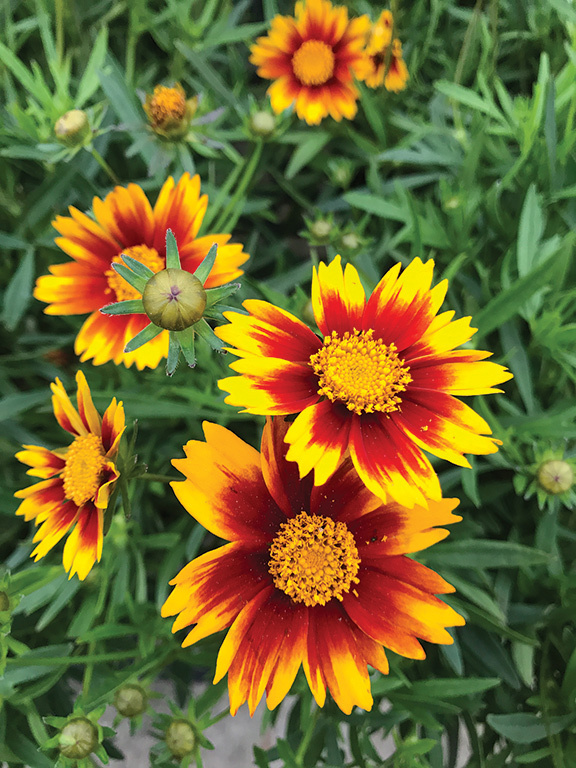 “Lil' Bang Daybreak Coreopsis is a long-blooming perennial providing a fantastic show of color summer through fall. Compact selection is great for the front of borders and mixed containers.” David Sherwood, Sherwood’s Forest. 2. 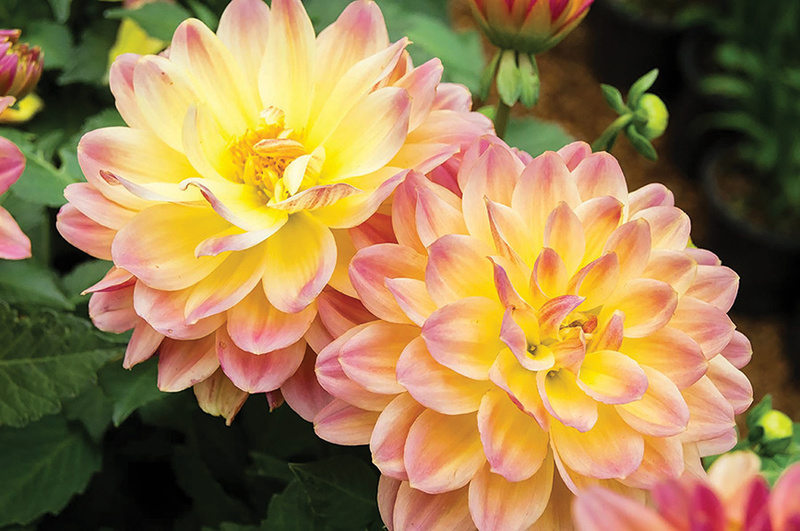 “The Dahlia bicolor rose has brilliant contrasts seen from when the bloom emerges as a deep magenta up to its full-bloom colors of white, yellow, and pink. Also, the size and texture of this flower make a beautifully dramatic, eye-catching addition to any landscape or container.” Andria Graeler, Chesterfield Valley Nursery. 3. 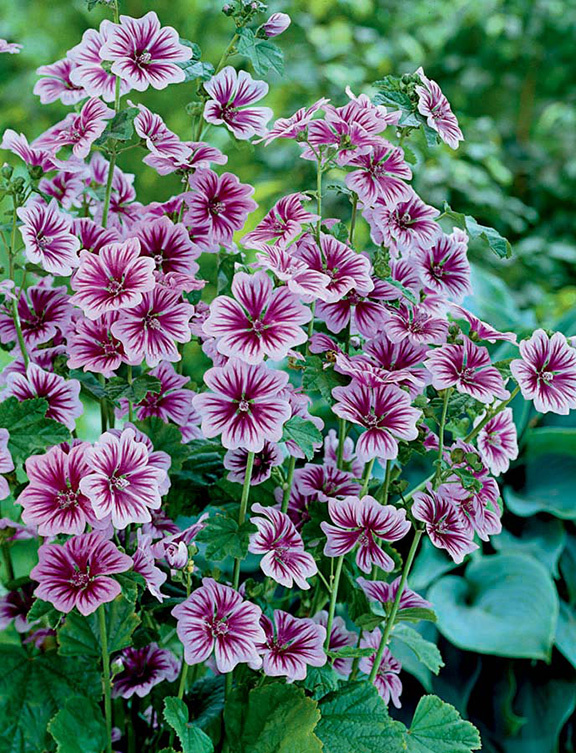 "The sun-loving Malva sylbestris 'Zebrina' will dazzle you with satiny lavender and maroon striped blooms from July through September. They are great for cut flowers and are known to attract butterflies and humming birds.” Sarah Riley, Bowood Farms. 4. “I love the striking white and red flowers of Lil Kim, which have a long bloom period (June-Oct). 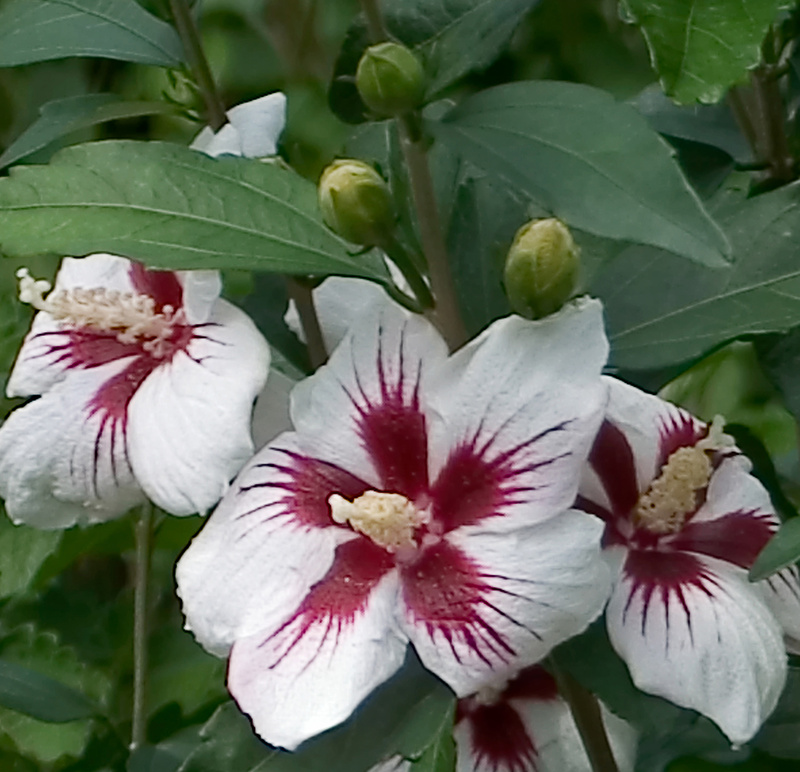 This Rose of Sharon is tolerant of St. Louis' urban conditions; wet to dry, poor soil, hot and humid summers, and harsh winters.” Claire Weiss, Frisella Nursery. 5. 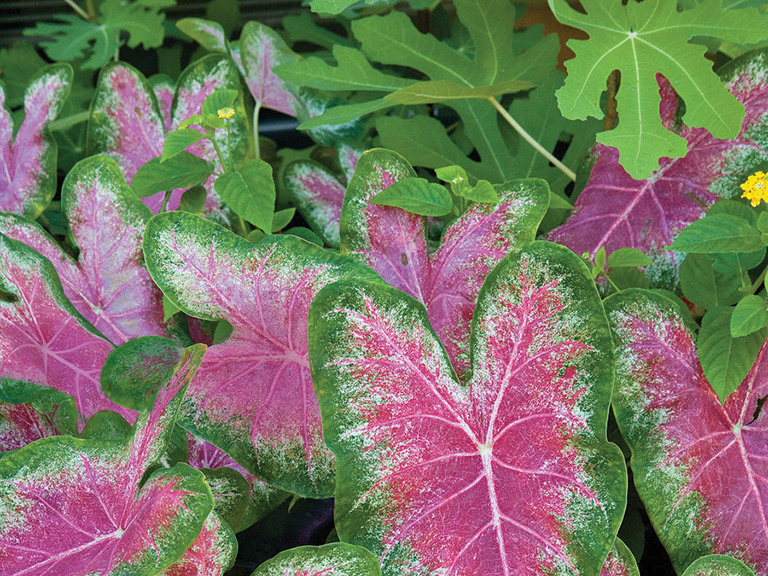 “The bright leaves of Caladiums have various shapes, like hearts or arrows and come in color combinations of red, pink, rose, white, chartreuse and green. These easy plants provide easy color any gardener will love. ” Richard Poynter, Poynter Landscape & Architecture. 6. “Lantana is my favorite bicolor blooming annual. The bloom clusters come in a variety of combinations of red, orange, yellow, white, pink, and purple. They work great in pots on the porch or as a border along the front of a sunny planting bed.” Katy Molaskey, Green Guys. 7. 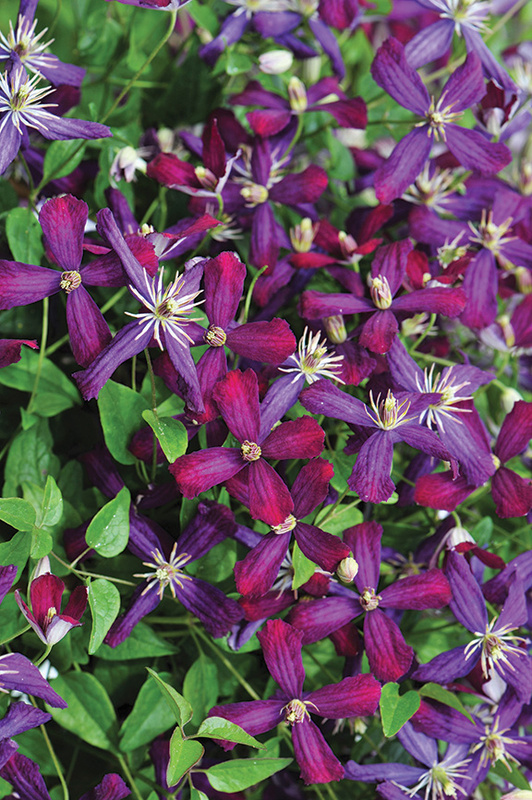 “With a mature vine producing over 2,000 highly scented, vibrantly colored blossoms, 'Sweet Summer Love Clematis' entertains us for months mid-summer through fall. Grows easily in full sun or dappled shade. Ann Lapides, Sugar Creek Gardens.